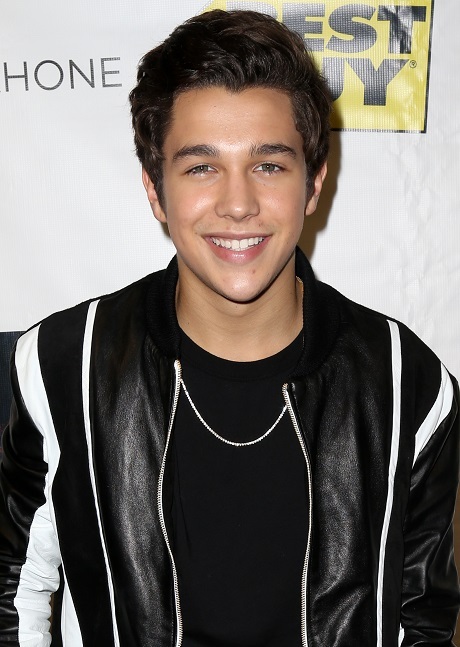 Why hasn’t anyone envisioned the possibility of Austin Mahone and Taylor Swift dating? Sure, she set Austin up with Selena Gomez once upon a time, but it’s been a long time since that ship has sailed. Since then, Taylor and Austin have clearly been spending a lot of time together, and Taylor’s even admitted that she’s a big fan of his. Austin was on Chelsea Lately on Wednesday night, and he discussed spending a night with Taylor in her hotel room, engaging in a food fight. Hmmm… I find it hard to believe that they spent an entire night together in a hotel room, and the only thing they ‘engaged in’ was throwing food. Don’t get me wrong, I’m sure Taylor has good guy friends, but I don’t think Austin is one of them. Plus, he’s also got the emotional maturity of a teaspoon, which fits right into Taylor’s boyfriend requirements. Look at her previous dating history — with the exception of Jake Gyllenhaal [which I’m still inclined to think was a PR setup], the rest of her ex-boyfriends were immature and very young, to boot. It got to such a point that there were entire articles targeting Taylor for dating guys younger than her, and Austin definitely fits into that, doesn’t he? Then again, perhaps Taylor is turning over a new leaf. Her BFF Karlie Kloss did state yesterday that Taylor was too busy for boyfriends right now, and maybe she was telling the truth. But one thing’s for sure — whenever and wherever Taylor does get her next boyfriend, I’m sure we’ll find out sooner rather than later. What do you guys think? Could you see Austin Mahone and Taylor Swift dating, or are they just friends? Let us know your thoughts in the comments below.